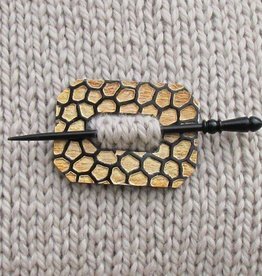 The JUL Designs Twig Lace Pin offers delicate botanical simplicity with its white bronze patina twig and Rosewood stick. This piece was cast from an actual twig found during a walk along the Patuxent River. 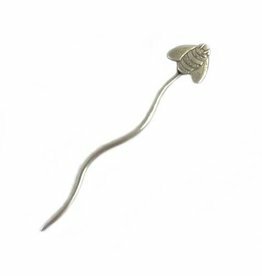 The Twig Lace Shawl Pin offers a 2 inch asymmetrical ring with a 4.5 inch stick. Made in the USA.